Some Tips on Cleaning Carpet and Floors Using Vacuum Cleaners - One household task is the most difficult to clean the floor. Having a carpet at home makes it even more difficult to clean. Thanks to the inventor of the vacuum cleaner, it has become housewives best tool in making the job very easy. Here are some helpful tips on how to use a vacuum cleaner to keep your rug in order to keep the floor clean. 1. First, always check the vacuum cleaner before use to ensure it is in good working condition. Also, make sure that there is enough air flow inside the machine. Check the bag, which collects dirt and debris. If the bag is filled with dirt, clean it, because it will clog the air cleaner make inefficient. 2. Check the area to be cleaned. Ensure all floors are accessible by the vacuum cleaner. Move objects such as tables, chairs, and sofas to ensure that all parts of the carpets will be vacuumed. 3. Start vacuuming the carpet from one corner to the other corner. Walk forward step by step make sure all floors vacuum cleaner passes by. As much as possible, avoid walking backwards as to avoid stepping on the power cord or a vacuum cleaner hose. It is more likely that you will run through the wires when you go to the back which can cause damage to the cord. 4. 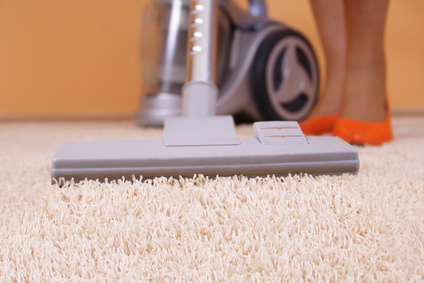 Make sure that you clean in order to ensure all parts of the carpet was cleaned. This is important especially in the carpet because it accumulates more dirt and dust from the surface of the floor. 5. To clean the corner under the edge of the furniture, use a vacuum attachment with a simple hose with exchangeable tip. Most vacuum cleaners have attachments of various shapes and sizes to fit different types of jobs. 6. Take advantage of a stick vacuum when cleaning the floor under large furniture such as beds and cupboards to get rid of dust particles. You do not need to move very heavy furniture as vacuum cleaners are designed to make your job easier. 7. Frequently check the end of the vacuum cleaner may be conceded debris - debris that could hinder the process of exploitation to be not optimal. 8. If you have a pet, you can use a refresher covering the floor because the carpet frequently to maintain the animal's body odor. An alternative and inexpensive way to make your carpet smell good is to sprinkle some baking soda before you clean it. Let the baking soda for a few moments before the cleaning process. 9. To clean up pet feces on a carpet or floor, use a lightweight vacuum cleaner. Try one upright with the power brush to get deep into the carpet fibers. Vacuum cleaner has become one of the most comfortable homes of modern times. Cleaning of wall to wall carpet can be an almost impossible task. So grab your vacuum cleaner now and enjoy the comfort of your carpet floors are always clean and comfortable. Before using any cleaning products make sure that its ingredients are harmless and eco friendly.